Tennis is about more than footwork and speed. It’s about focus, determination, and commitment, just like real life. At Tennis Rhode Island, we don’t just build champions; we build character. Our staff is dedicated to helping our players reach their potential both on and off the court by focusing on the whole player: body and mind. Tennis is about more than footwork and speed. It’s about focus, determination, and commitment, just like real life. We guide our players so they see how their on-court skills apply to the bigger picture in life. With office and pro staff members who’ve been on our team for 10, 15, and even 20 years, we’re a family here at Tennis Rhode Island, and we invite you to join us at one or both of our locations. If you’ve been to Tennis Rhode Island in East Providence, chances are you’ve met our Head Pro, Steve Sapolsky. Steve has been playing tennis nearly all his life and began teaching tennis here at TRI in 1983 when he was just 16. A top-ranked player both in college and later as an adult player, Steve has earned countless honors in his long career. Twice named the men’s tennis team MVP during his years at Colby College, Steve later earned his Master’s in Education at Rhode Island College. In 1993, Steve began a full-time instructing career, guiding youth players and adults, teaching groups and individuals alike. Steve is a Level 1 USPTA Certified Instructor who has trained several all-staters and has coached top ranked players throughout the state. In 2000, Steve became the full-time Head Pro at our East Bay location, where he’s mentored countless tennis enthusiasts of all skill levels through Sapolsky Tennis. Steve has a unique ability to get the most out of every player he teaches, and has an infectiously positive and friendly on-court demeanor. Click here to contact Steve. For more information about Steve check out his website Sapolsky Tennis. 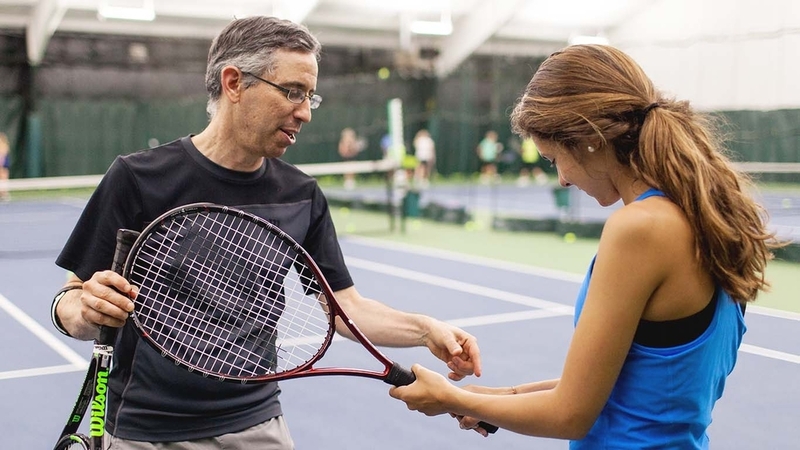 Douglas James is a level 1 USPTA instructor who has been teaching tennis for 30 years. He has worked at many venues around the state, including, Tennis Rhode Island, East Bay, Bonnet Shores Beach Club, The Naval War College, and was also the Director of Tennis for the town of Narragansett. Doug was an all-state high school player for Our Lady of Providence where he received the RI Coaches Student Athlete Award in 1984. He Played number 1 for Rhode Island College, and as an adult has been ranked as high a 7 in New England in doubles and as high as 20 in New England in singles. 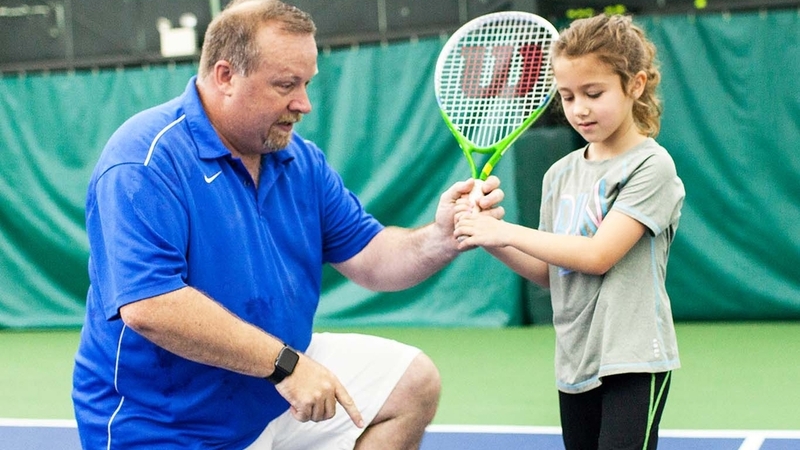 Doug has been the head pro at Tennis Rhode Island, West Bay for the last 13 years where he has worked with students ranging in age from 5 to 83. He has taught juniors from the beginner level up to highly ranked New England junior and former state champions. Many of his students have gone on to play in college. His philosophy of making hard work fun has helped him grow his program to almost 300 students per week. Doug also invented and introduced a progressive tag system which allows students to earn tags similar to earning belts in martial arts. It gives both the students and their parents a road map of what they will be learning. It also gives students a goal based approach to learning the game. Click here to contact Doug. For more information about Doug check out his website Grand Slam Tennis Academy. Paul began playing tennis in 1971 when the “tennis boom” hit and indoor clubs were sprouting up everywhere. He played USTA tournaments throughout New England and achieved rankings in singles and doubles. Paul started teaching tennis in 1975 as an assistant Pro and became USPTA certified in 1976. In 1981 he came to Tennis Rhode Island as Head Professional and taught here for the next twenty years. Paul became general manager of the TRI East Bay facility in 2001. Click here or call 401.434.5550 to contact Paul. Stephen J. Roberti has been the general manager at Tennis Rhode Island West Bay since September of 2004. Previous to that position, he was a manager in two national retail sporting goods stores for a total of seven years. Steve began his career in the tennis field as the head teaching professional for a variety of indoor and outdoor clubs throughout the state of Rhode Island. As a member of the U.S. Professional Tennis Association for 20 years, he coached a division one college tennis team (URI) and a class A high school team (LaSalle). Currently, Steve coaches and trains numerous USTA teams and individuals at West Bay Tennis Club. His extensive background in tennis instruction and coaching has spanned 35 years. Steve has also participated in numerous competitive tennis events throughout New England. He competed on two New Englander junior college championship teams. He has also been ranked in men's doubles and mixed doubles at the New England level. Steve has been an active member of USTA for the past 35 years. Steve’s extensive background and dedication to tennis has culminated in the honor of him being named the 2012 USPTA New England manager of the year. Through this honor, Tennis RI West Bay was named the 2012 New England USPTA club of the year. Click here or call 401.828.4450 to reach Steve.